Clutch Release (3mm Long Length) - Specialized shop for Datsun 1200. Datsun 120Y/140Y, B310 (7305 - 8304)A12/Floor 4-Speed. 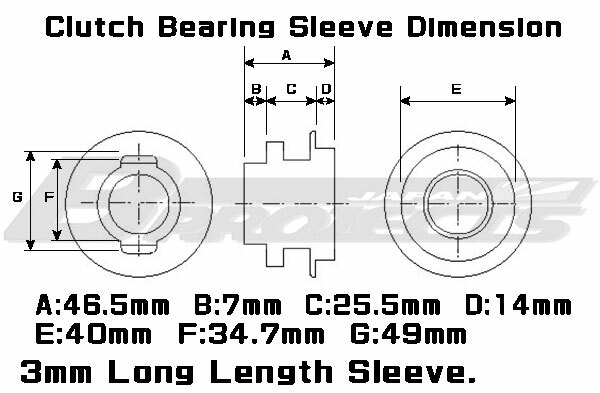 New OEM clutch release bearing sleeve for "B310: A12/Floor 4 Speed" & "Short body of Datusn 1200 Ute". Also about the overall length is a 46.5mm, It is a 3mm long length more than standard length.